NO MORE GOING DOWN RANGE TO RESET YOUR TARGET! 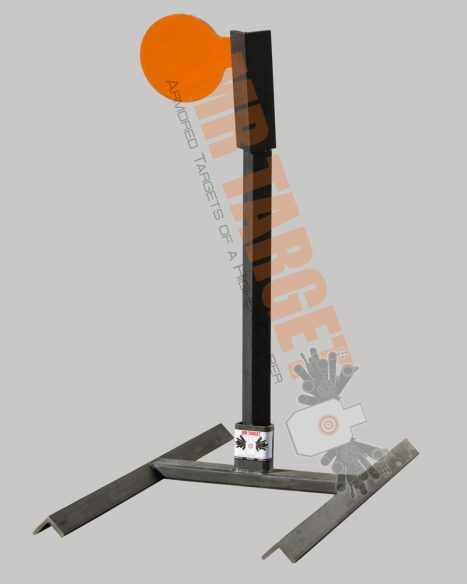 If you are looking for a cost effective and FUN way to have reactive targets all over your range… this is the way to go – Our single flipper pound in targets stand 30″ tall and are designed to work with our H Bases… but can also be pounded into the ground for a more permanent solution. The 30″ upright comes with a 6″ 3/8” thick AR500 steel paddle that is pistol AND rifle rated. 9mm on up (223, 308, 30.06, etc.) 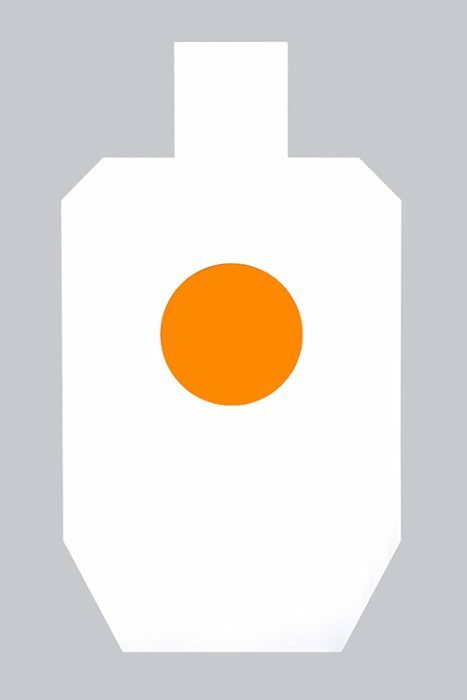 will react this paddle from left to right when hit and then shoot it back the other direction. 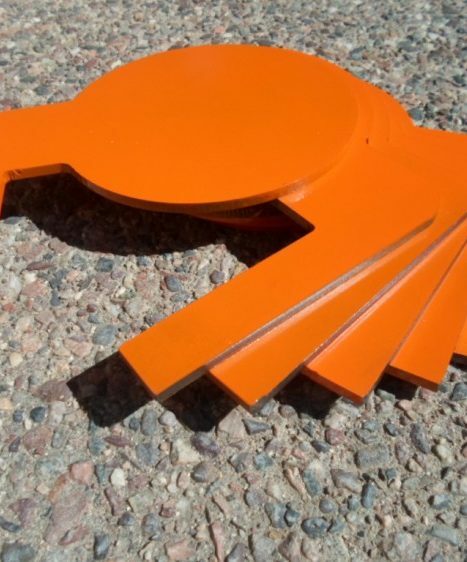 22 Rimfire paddles can be swapped out in seconds and work with all our other reactive silhouette targets and dueling trees. 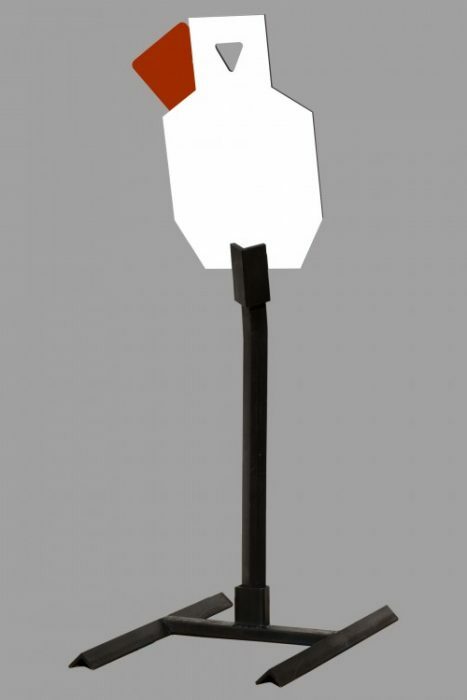 Single Paddle Pound-in – Modular, portable, pistol/rifle/rimfire target is a great, cost effective way to set up your range. Great for PRS shooters with land and public/private ranges. 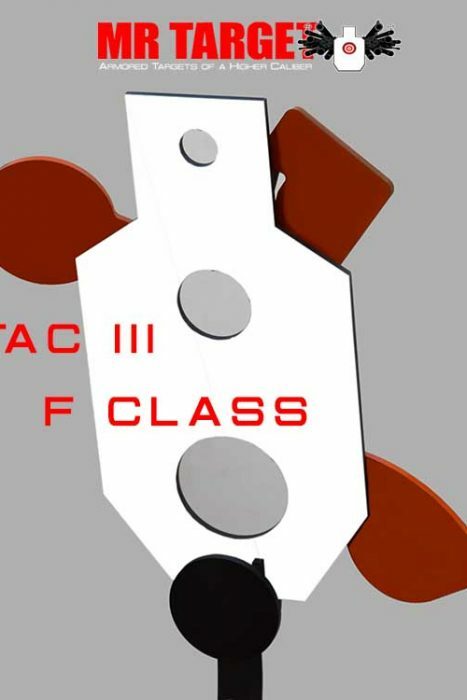 We also have different shaped paddles for this target. Card suites (spade, heart, club, diamond), Zombie brains, and different sized circles from 2″ to 8″. WITHOUT THE H-BASE – Do you have a private range or land? 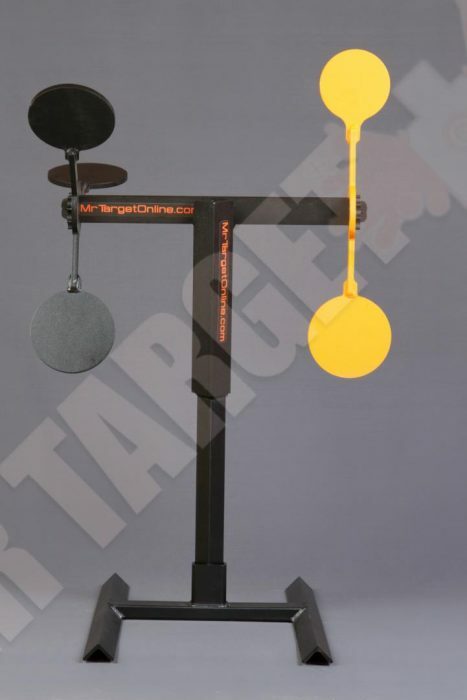 Are you building your own shooting spot and want a reactive paddle at every 25 yards? 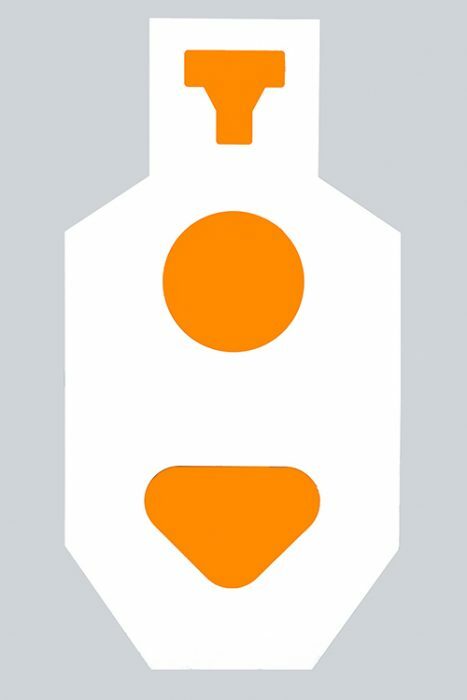 If you do and want a permanent/fixed target at specific spots, order WITHOUT the H-Base. 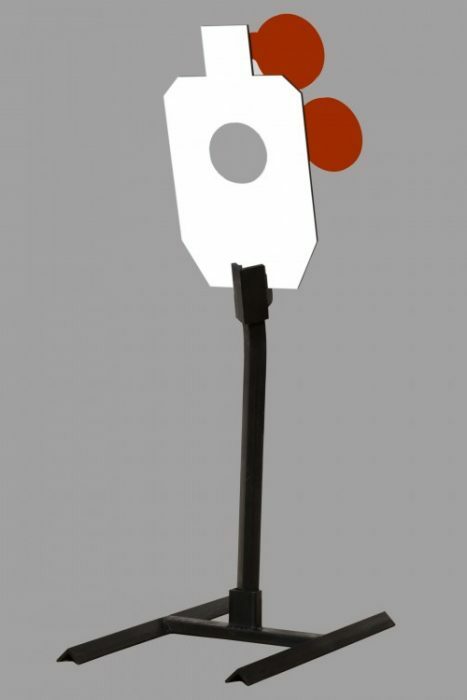 If you are looking for a unique single paddle pound in target that is easily pounded into the ground and still has the ability to swap the target paddle in seconds… here it is. Our rimfire 22 paddles can be purchased separately and swapped out in seconds. WITH THE H-BASE – Are you a 4×4 or camping person? If you like setting up your targets at different distances… or if you have multiple shooting locations, order these targets WITH the H-Base. This will allow for a modular solution. The H-bases can interchange with all our target systems.